Thanks to the Greater Springfield Chamber of Commerce for inviting me to speak about successful blogging. I had a lively discussion with participants who don’t yet have blogs, are considering a blog or have a blog. Here were my key recommendations. Define a purpose. What are you going to blog about? It should be something that meets an audience need and about which you’re passionate and knowledgeable. Develop a list of topics you will cover. Optionally, define 3-5 broad categories that you will cover. Most blog programs allow you to group your posts by date of posting as well as category. Sketch out an editorial plan that will guide you for the first six months. Find and monitor blogs that cover similar topics. Use Google Search or Technorati to identify related blogs. Monitor them. Practice your writing by comment to provide meaningful contributions to one or more posts. Look at WordPress and Blogger and pick the tool that you like best. Both are free and offer similar functionality. Think of your blog as an ongoing conversation. Start new conversations with your posts. 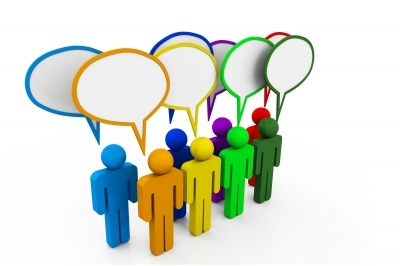 Continue conversations by commenting on comments on your blog as well as other blogs. You should post a follow-up to someone else’s story if you have something to add. That keeps the conversation going. Of course, if you come up with an idea on your own, you should write about that, too. There is nothing wrong with starting a new conversation. Define how often you will blog and stick to a schedule. Define the time that you will devote to writing. Blogging software allows you to create and save posts and designate the date and time they will be published, so your writing time does not need to be the same at the timing you have selected for your blog posts. Sticking within your defined topic, write about things you see, do, hear or read about. Talk about it as well as your impression or reaction. Talk only about your product or service. Don’t talk about your product or service; talk about the problems you can solve and the interests and concerns of the people who have those problems. Assume too much about your reader. You assume since they are reading your blog, they know all about you and/or your products and services. Wrong. Offer readers context within every post as well as links to your web site, to information about you, etc. Blogs are about people talking with other people. Show some passion about what you do. Engage your reader – don’t write at them. Write in a conversational and informal tone. Link to related blogs and ask those bloggers to link to you. Readers give more credibility to blogs that are part of the fabric of conversation around a topic. Search engines give higher ranking to blogs that link to other blogs and websites. Add your blog to your email signature and business cards. List your blog address (as well as any other social media that you participate in) in your email signature, on your business cards, on your letterhead, etc. Connect your blog and your website. Link your website to your blog and your blog to your website. Feature your most recent post on the home page of your website. Whenever a blog post is related to content within your website, link to it. When you comment, refer to your blog. Include a link back to your blog when you comment on other blogs or at social media sites like Facebook, Twitter and LinkedIn. Make sure the link accompanies meaningful comments or content. No one likes shameless self-promotion.